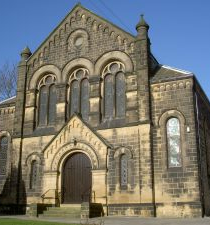 Calderdale Circuit is seeking to appoint a part-time Heritage Mission Enabler to promote, market and deliver sessions on Methodist Heritage in a Christian context within the Circuit geographical area. The post will commence on Wednesday, 1st May 2019 and is for 20 hours per week. Salary will be £11.25 per hour with 28 days holiday pro rata to include 8 public holidays. There is a genuine occupational requirement that the post-holder is a practising Christian. The appointment is subject to a clear DBS (Disclosure and Barring Service) check. Closing date for applications: Monday, 4th March 2019 at 12 noon. Hebden Royd Methodist Church (Market Street, Hebden Bridge, HX7 6EU) is seeking to employ a part-time Mission Centre Manager to help in its mission to the local community. The post is for 12 hours a week which are flexible to the requirements of the job and will be initially for 3 years. Payment will be £9.00 per hour with 28 days holiday per annum pro rata, to include 8 public holidays. There is a Genuine Occupational Requirement (GOR) that the post-holder is a Christian. The appointment is subject to a clear Certificate of Disclosure from the Disclosure & Barring Service – Enhanced check. Closing date for applications: Monday, 18th February 2019 at 12 noon. Interviews will take place during the week commencing 4th March 2019. Aire & Calder Circuit is seeking to appoint a Pastoral Worker to support a part-time presbyter with the pastoral oversight of 4 churches across this large circuit which currently has 31 churches and approximately 1,400 members. This will be a part-time appointment (16 hours each week @ the rate of £9.75 per hour), intended to start 1st March 2019. Beacon is a small Bradford-based charity that runs four projects providing practical support to asylum seekers. Most of its work is carried out by teams of very dedicated volunteers. In 2015 Beacon celebrated its 10th anniversary. Help develop and support our work – join the Trustees! Beacon is seeking additional trustees to help shape the future of the organisation through a period of significant change, growth and development. Beacon is looking for skilled and committed individuals to join the unpaid Board of Trustees. The Board is collectively responsible for the governance and strategic direction of Beacon. Successful applicants will be expected to take an active role in ensuring the organisation’s work towards its key missions, objectives and goals. Beacon is especially interested in applicants with board/management committee-level experience and expertise in one or more of the following: fundraising, legal issues, equal opportunities, HR, marketing, strategic planning, issues facing asylum seekers and campaigning. Trustees are asked to commit an average of 1- 2 days each month to the organisation, which will include attending board meetings, possibly sub groups and occasional events. They will be expected to remain well informed about the organisation and its activities and take a personal interest in and collective responsibility for its development and sustainability. Ideally new board members will have previous experience in a similar role and some understanding of the voluntary sector and small charities. Interested, want to know more? Someone to send out invoices for room Lettings on a monthly basis (vital as this brings in 25% of our church income. Someone to become the Gift Aid Secretary, to work with Robert Watson during the coming year and take over from him September 2019 (reclaiming Gift Aid brings us £10,000 per year income). Someone to take over from Rita Walker as Wesleys Café Treasurer. Someone to take over all our parts of the absolutely crucial role of Church Treasurer, to work with John Sykes this year, and take over in September 2019.